Throughout the summer and fall, many families can be found hiking and camping along rivers, bluffs and woods. A common concern for these outdoor enthusiasts is tick bites. Numerous locations in the United States are home to a number of tick species, with the best known being the deer tick. When hiking or camping, wear shoes, long pants tucked into your socks, a long-sleeved shirt, a hat and gloves. Try to stick to trails, and avoid walking through low bushes and long grass. Keep your dog on a leash. Also, use insect repellents with a 20 percent or higher concentration of DEET. After you’ve spent time in a wooded or grassy area, check yourself, your children and your pets for ticks. Deer ticks are often no bigger than the head of a pin, so you may not discover them unless you search carefully. Use fine-tipped tweezers to grab the tick firmly near its head or mouth, and as close to the skin as possible. Pull the tick's body away from your skin. Seal the tick in a jar, if possible. 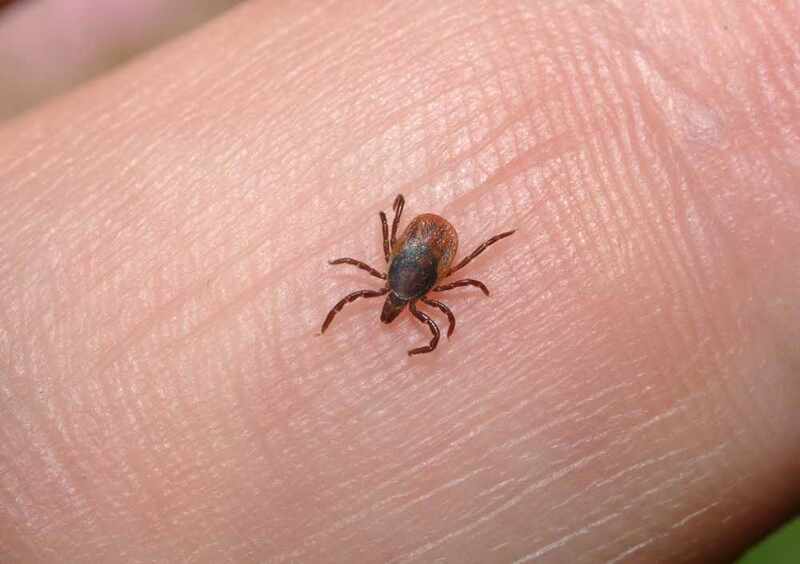 Your health care provider may want to see the tick if you become ill after a tick bite. Use soap and water to wash your hands after handling the tick. Also, wash the area around the tick bite. Don’t apply petroleum jelly, fingernail polish, rubbing alcohol or a hot match to the tick. You aren't able to completely remove the tick. The longer the tick remains attached to your skin, the greater your risk of getting a disease. The rash gets bigger. If the small, red bump develops into a larger rash, perhaps with a bull's-eye pattern, it may indicate Lyme disease. Also, consult your health care provider if signs and symptoms disappear, because you may still be at risk of the disease. You develop flu-like signs and symptoms. Fever, chills, fatigue, body aches and a headache may accompany the rash. You think the bite site is infected. Signs and symptoms include redness or oozing.